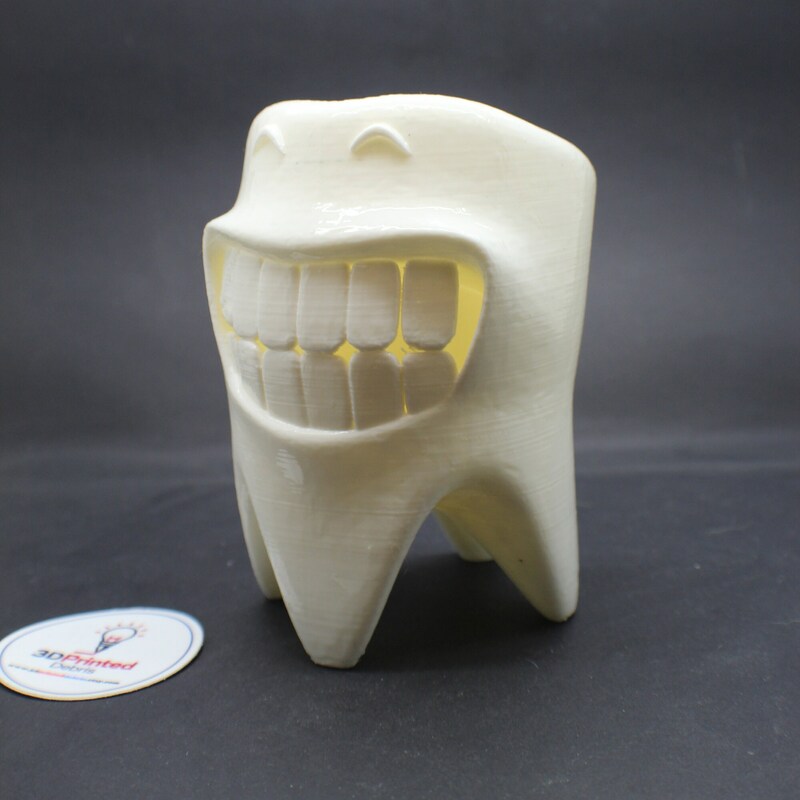 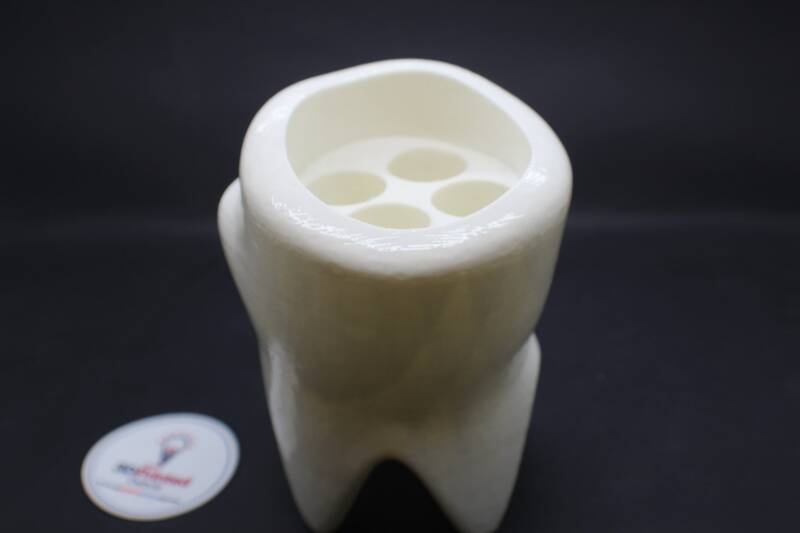 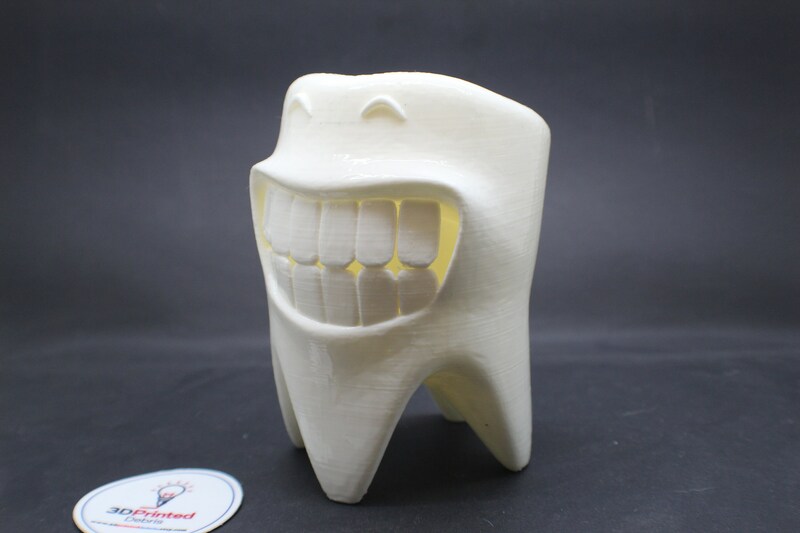 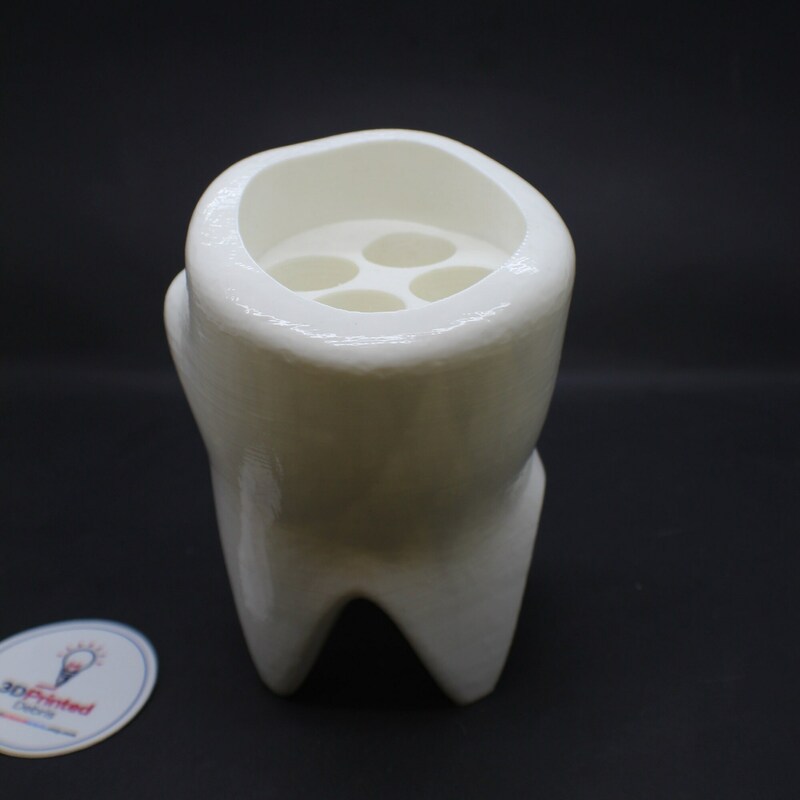 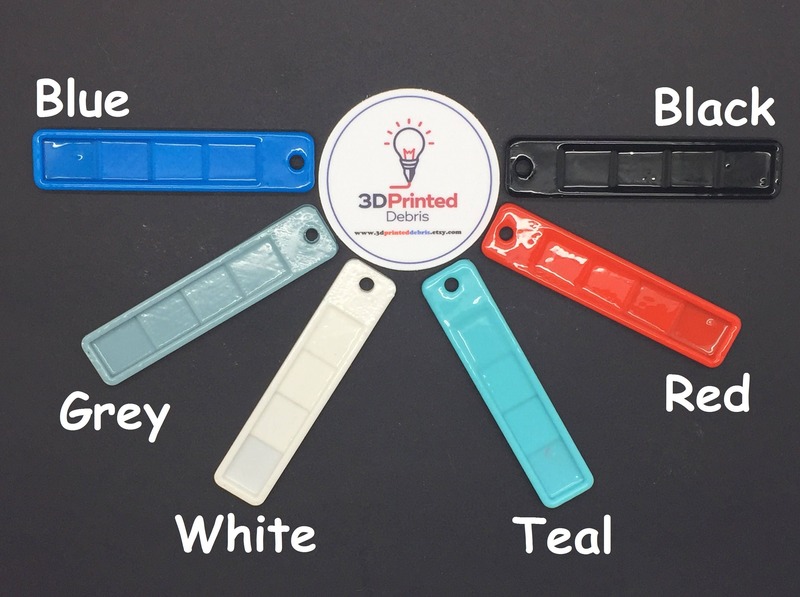 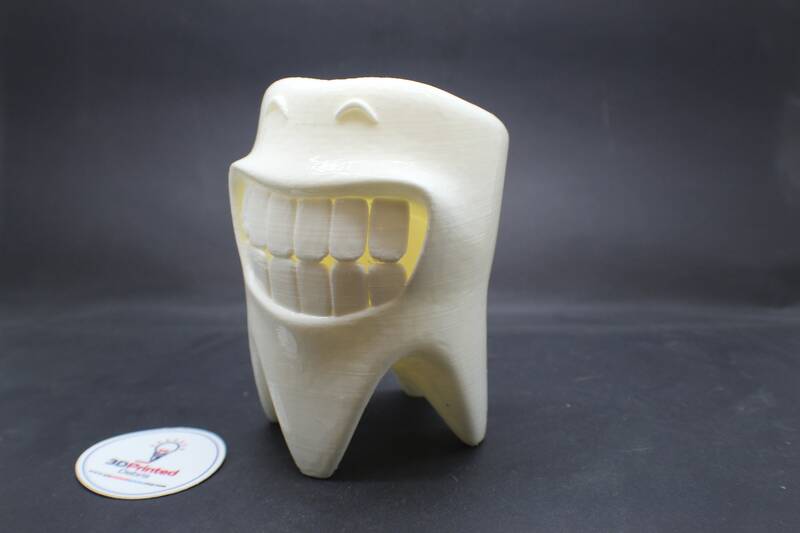 This is a 3D printed polished vinyl smiling tooth shaped toothbrush holder. 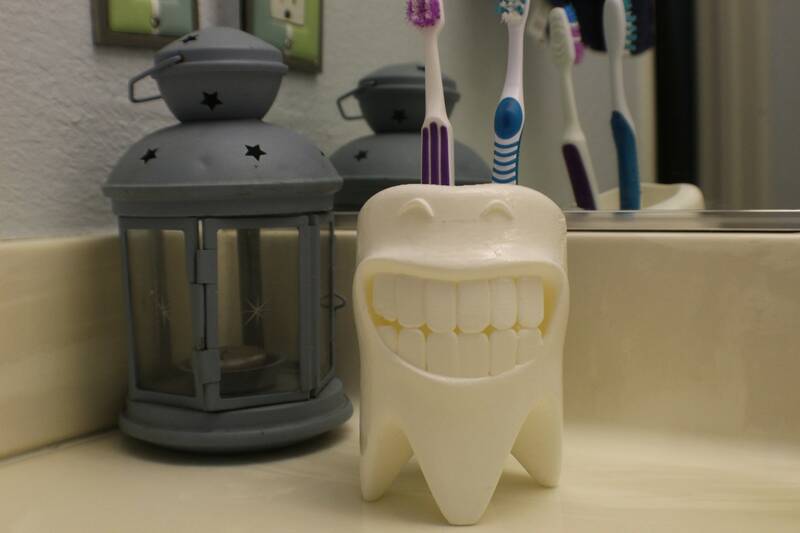 It's a tooth, with teeth, for holding toothbrushes.... get it? 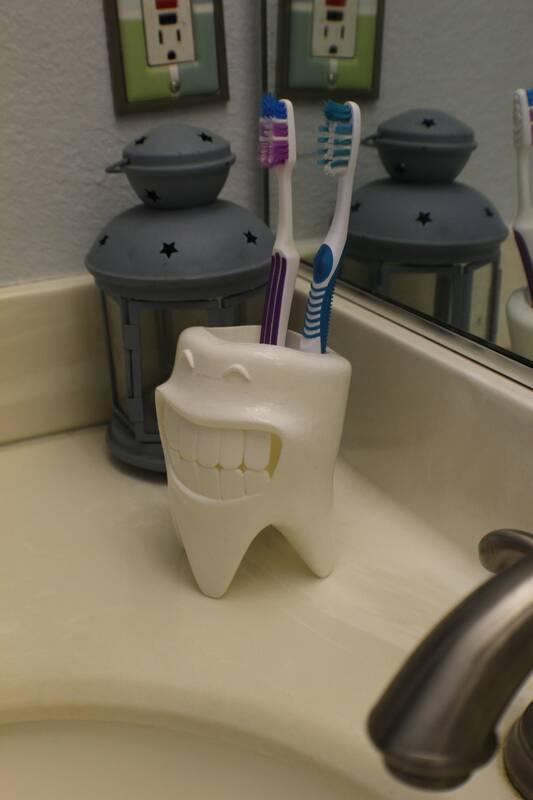 I made this for my kids bathroom but I figured I'd put it up on here to see if anyone else thought it was clever, too. 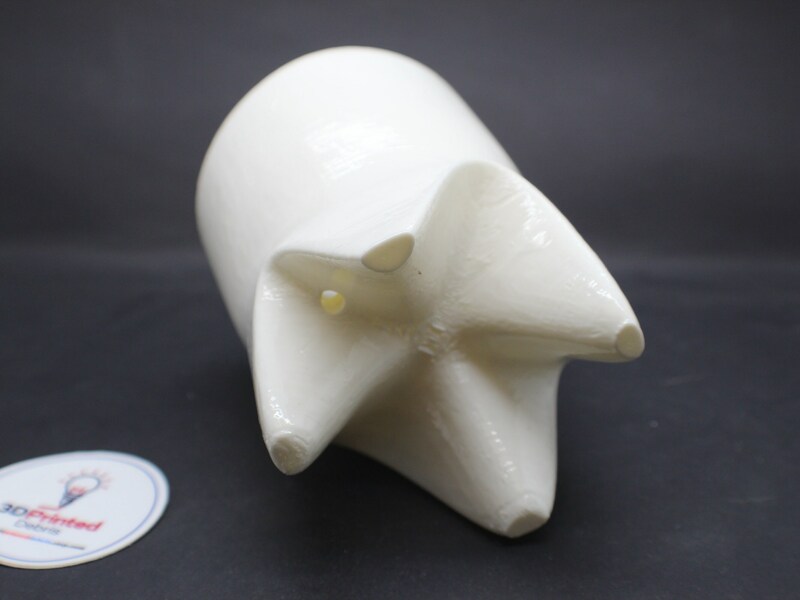 He stands 5 inches tall, and about 4 inches wide/deep. 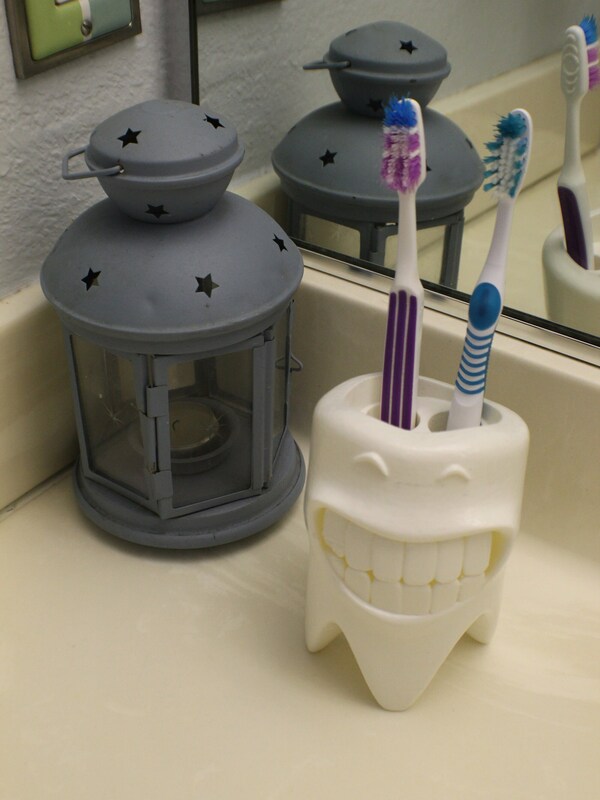 He has a drain hole on the bottom for easy cleaning and holds 4 large toothbrushes.